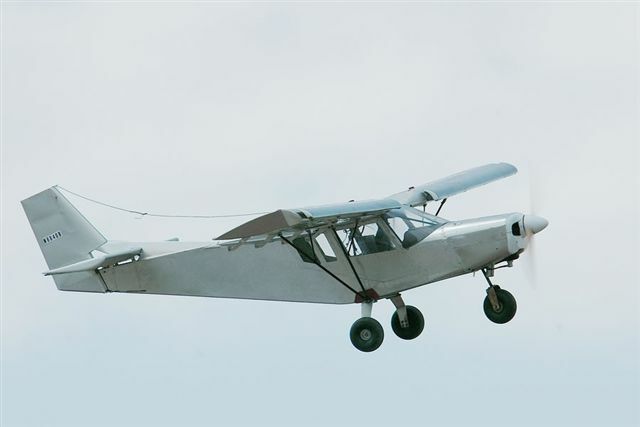 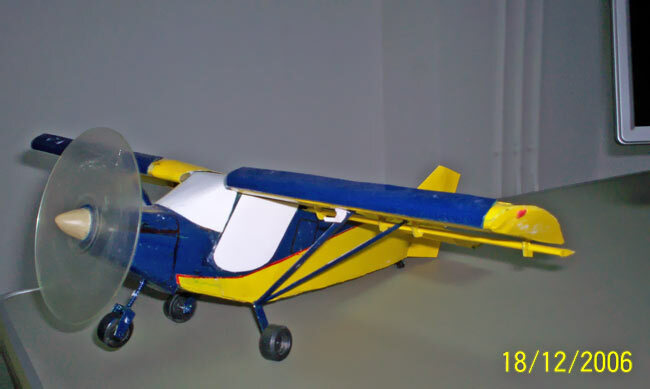 A number of scale model and radio control (r/c) aircraft builders and enthusiasts have constructed plans-built models of the STOL CH 701 and 801 designs from Chris Heintz. 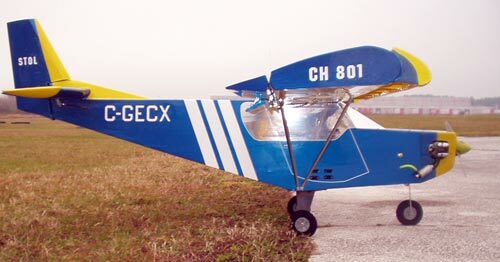 The aircraft presents some unique and very effective short take-off and landing features used on few designs. 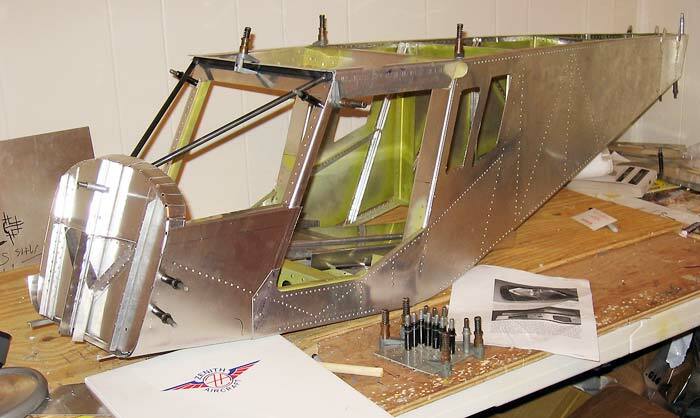 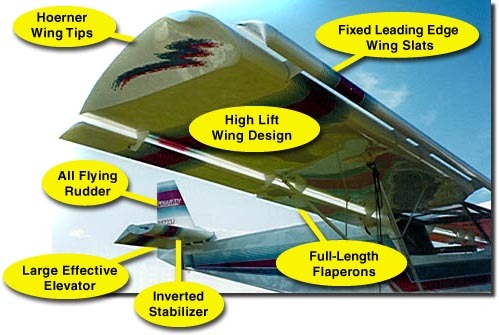 Click here to download a 21 page excerpt from the actual STOL CH 701 Drawings and Manuals that many have used as a blueprint for building a scale R/C model of the STOL CH701. 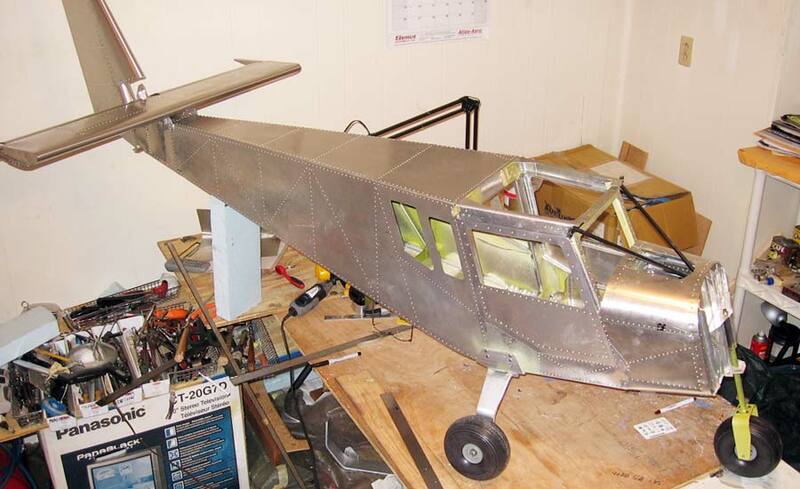 Carlos Rangel's handmade 28% STOL CH 801 all-metal scale model with amazing attention to detail. 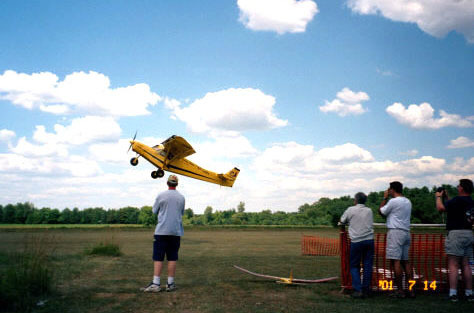 This full-size STOL CH 701 visited a 250-foot R/C model plane field in Reedsburg, WI. 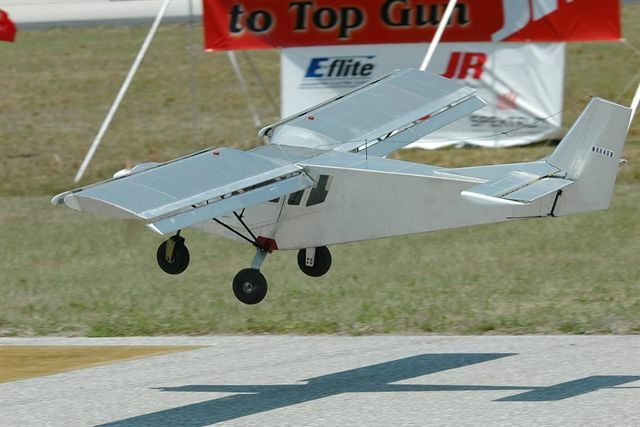 The R/C club newsletter stated that the R/C models "use more runway than he did for takeoff!" 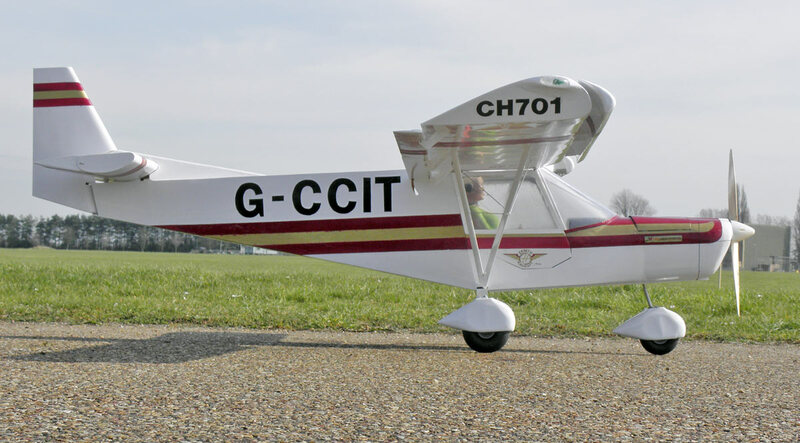 "The model is a traditional balsa interpretation of the CH 701 at 25% scale and is based upon an example kept at Great Oakley UK. 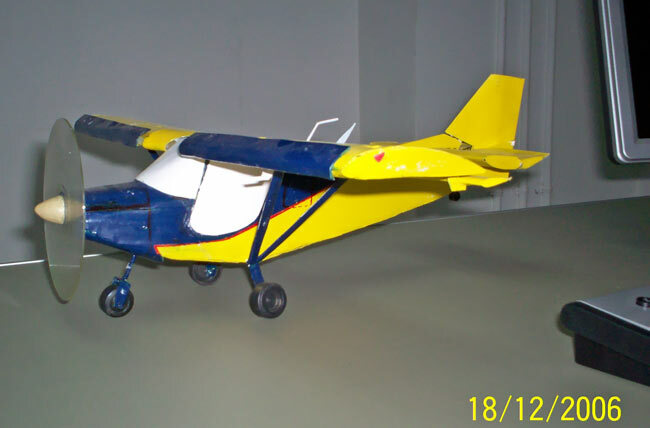 (The owner is not the pilot in the model - she is a figment of my imagination!) 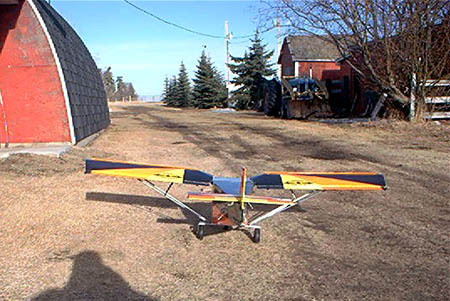 It uses Futaba 6EX 2.4ghz radio with mechanical mixing for the flap and aileron functions." 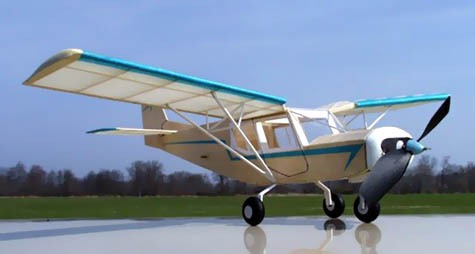 STOL CH 701 and STOL CH 801 Paper Airplanes: Build your own paper airplane. 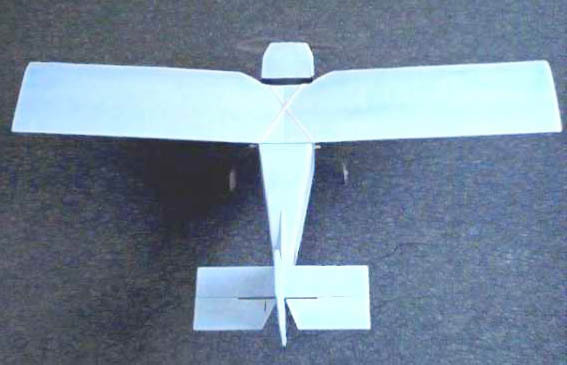 These paper airplane design by Gary Anderson actually flies (though the short take-off performance may be lacking). 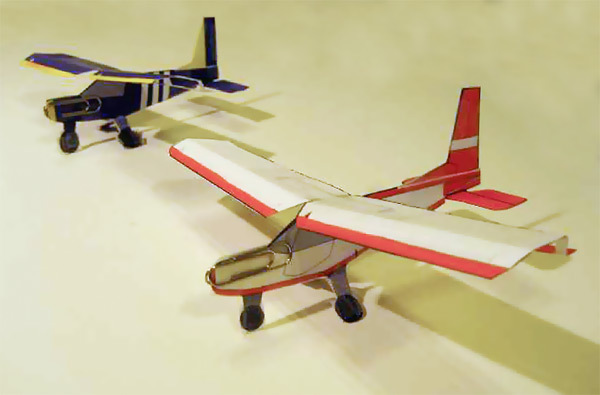 Click here to download the STOL paper airplane drawings and manual. 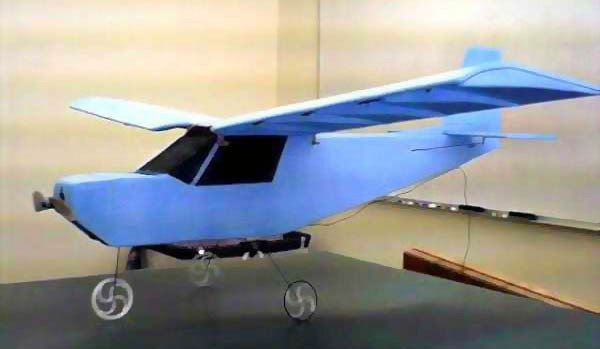 "It's a not-to scale non-flying paper model. 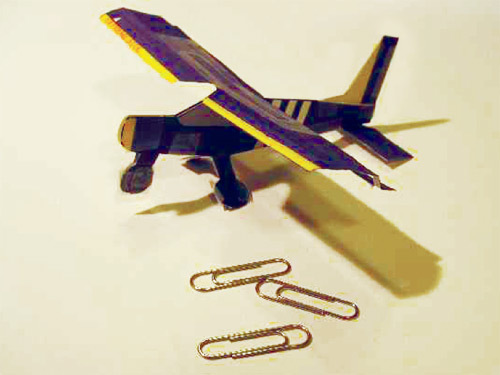 To make one requires a few cold beers, a good cardboard piece, a sheet of art paper calendar and a small tube of glue. 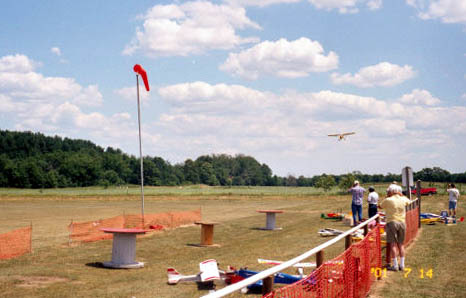 A bad CD works well for twirling propellers with epoxy clay on a pencil for spinner and shaft." 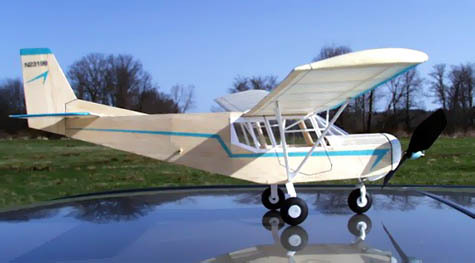 I ordered a box of various sized balsa sheets and sticks and got started thinking about construction ethods for such a unique aircraft. 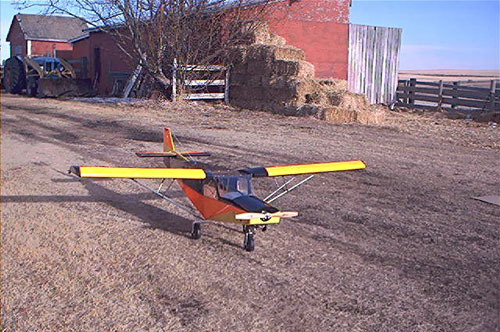 I probably spent more hour thinking about it than building it! 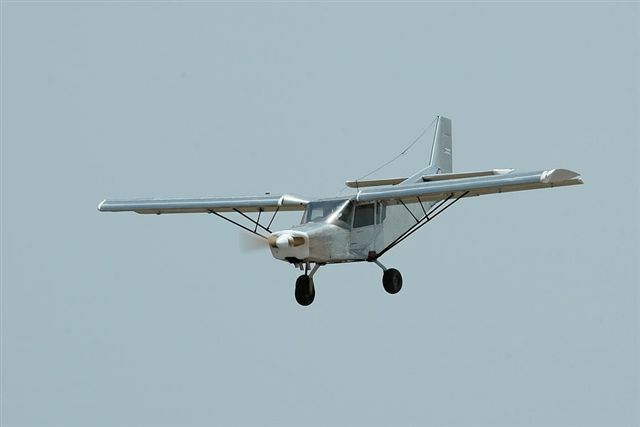 Finally, on December 13th, I made my first test flight. 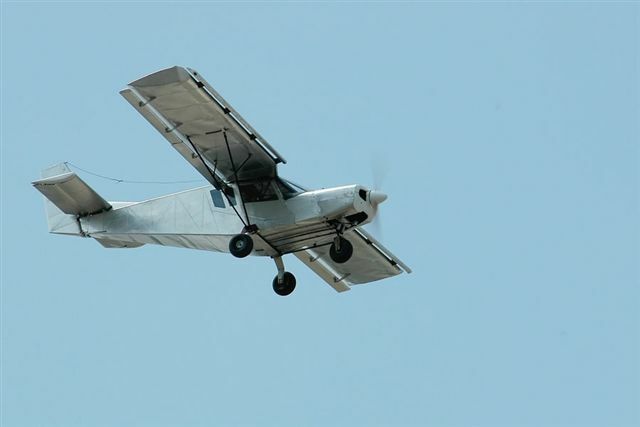 I am pleased to say that it was successful, and I now have completed 7 flights with success. 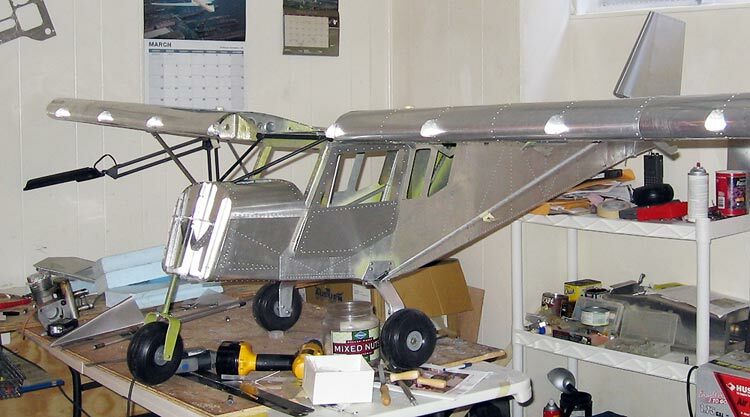 The airplane is semi-scale at 1/5th scale (73" wingspan), as I chose to make the fuselage 6" wide rather than 8", and the cowling is less than scale, but I am very pleased with it's overall looks and performance. 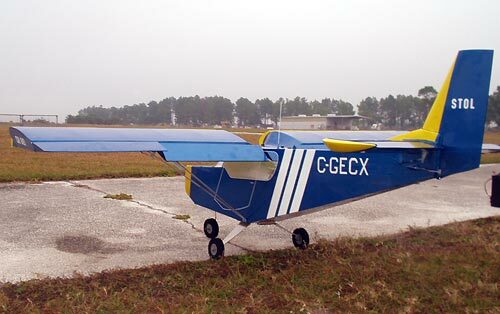 It certainly catches the attention of all my fellow club members, who are amazed by its unique features. 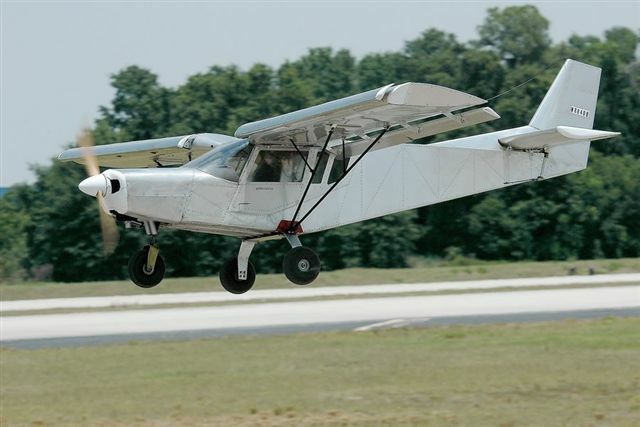 I am an old Army Aviator (rotary wing) and also hold commercial license for helicopters and fixed wing aircraft, but I have not been active in flying for some time. 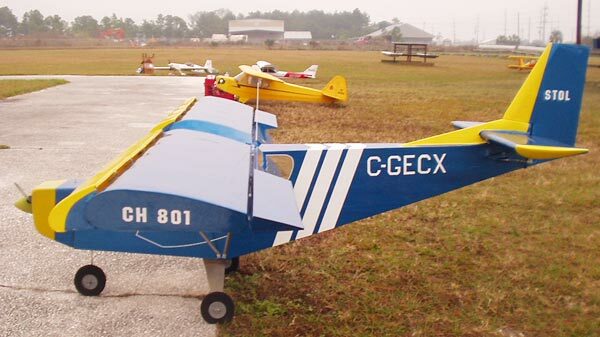 I hope to see your airplanes again at next Sun n Fun and study them in more detail. 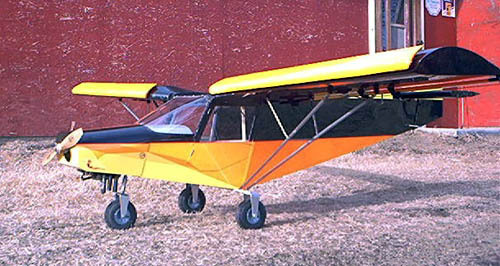 Thanks for a great design! 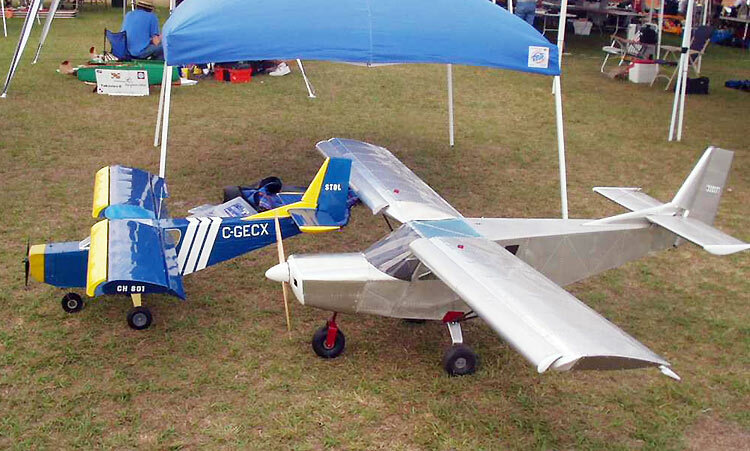 Mark F. sent us these photos of his STOL CH 801 with a 20-inch wing span; built of balsa and tissue; powered by rubber. 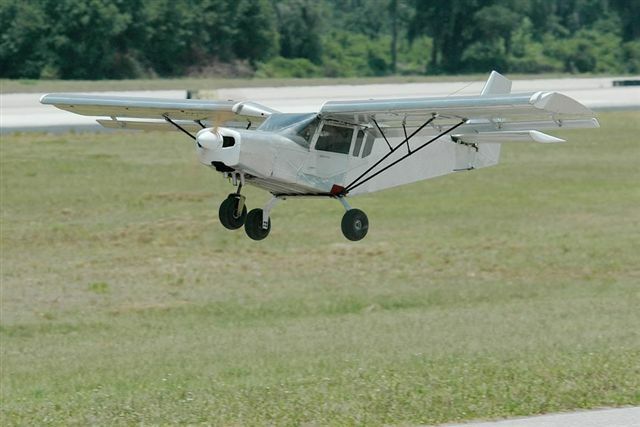 First flight was April 8, 2001. 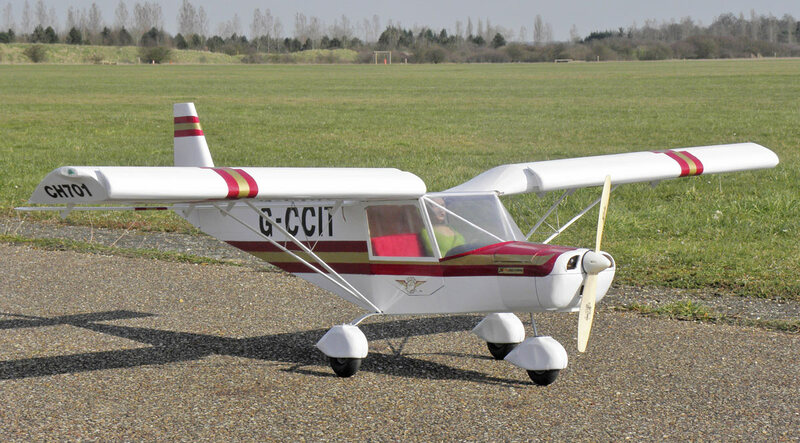 (Send us photos of your scale model should you decide to build a STOL CH 701 / 801).